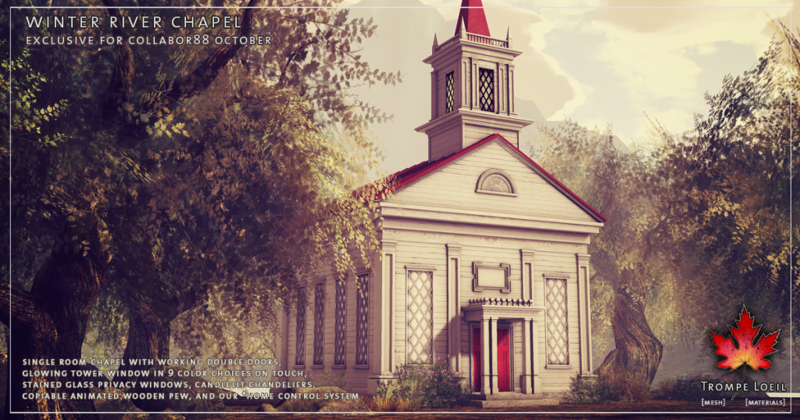 The peaceful town of your autumn dreams has the perfect meeting place, waiting to be your new studio home or event center – the Winter River Chapel, exclusively at Collabor88! This single room chapel features stained glass windows, tower topper with glowing window in your choice of several colors on touch, and our *home control center system. 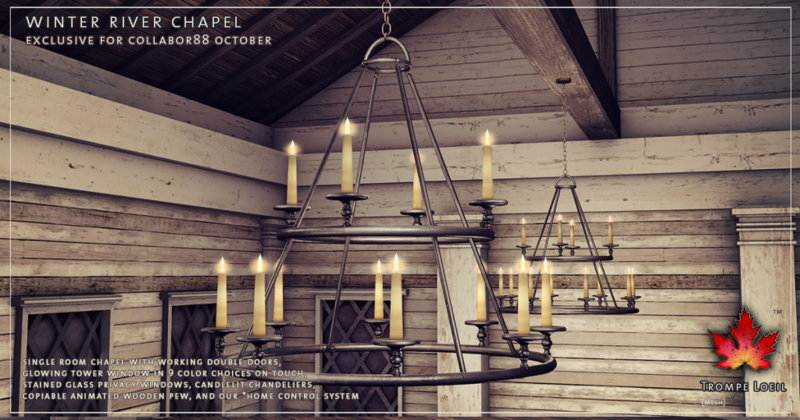 Plus, we’ve included our Winter River Chandeliers and Pew in the pack as well! 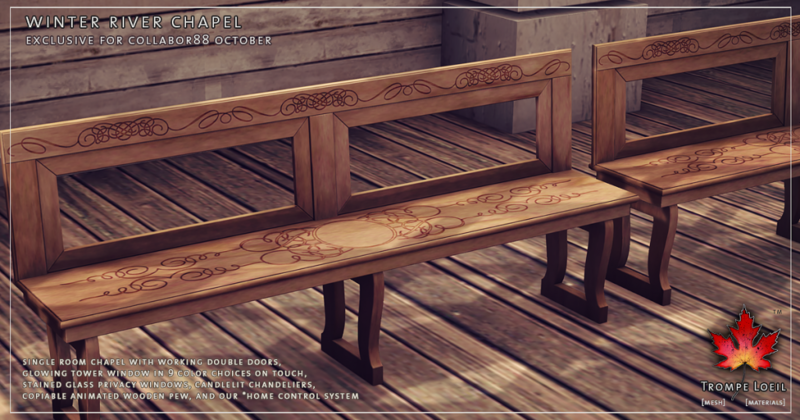 The Winter River Pew and Chandelier are also available separately – only at Collabor88 October!